OCR PDF of supplemental information for the Grand Canyon collection. Both thin section images were taken at a 400x magnification. Both cross polarized and plain polarized images were taken at a 400x magnification. Part of the The Granite Gorge Metamorphic Suite, this is usually considered a metavolcanic, and its mineralogy is dominated by quartz and mica. 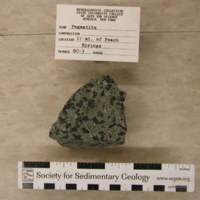 This sample is mis-labeled as a pegmatite. 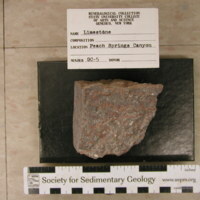 It is really a porphyritic dike material that cuts through the Zoroaster Granite. 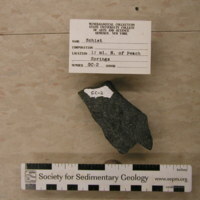 The phenocrysts are hornblende. 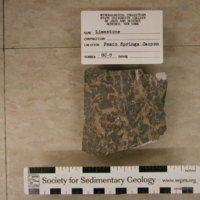 Sandstone shows metamorphic overprinting with triple junctions between quartz grains common. Mottled lithology of the Muav Limestone. 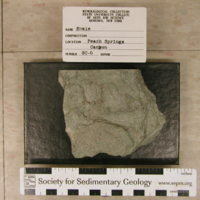 Green clay lithology of the Bright Angel Shale. 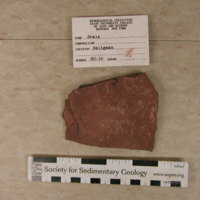 Red siltstone lithology of the Bright Angel Shale. 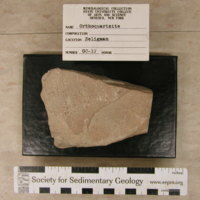 Limestone containing fossils of the alga, Girvanella. 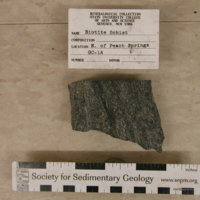 A silty-shale where the clasts are dominated by quartz. 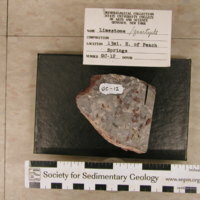 Sample collected from an area typified by interbedded limestones and shale. 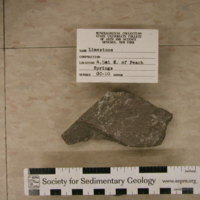 Fine-grained limestone with occasional fossil remains. 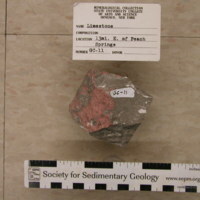 Though listed as a limestone, this sample is best described as a conglomerate with calcite present in the matrix. 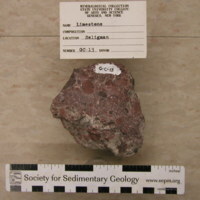 This sample was collected from a bed of conglomerate lithology just below contact with Supai formation. 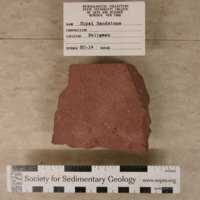 A classic red-bed sample typical of the sandstones from the Supai Formation. 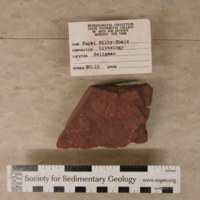 Classic red-bed sample from the Supai Formation with silt-sized grains of mostly quartz. Some grains are semi-rounded. 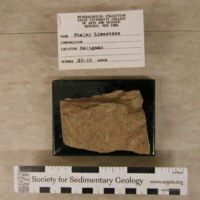 A buff-colored siltstone/sandstone. 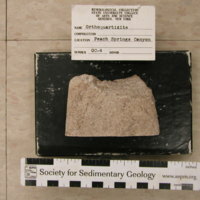 The grains are angular and are quartz-dominated. Thin section images were taken at a 400x magnification. 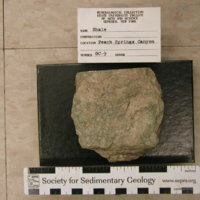 A sample from the gamma member of the Toroweap Formation. 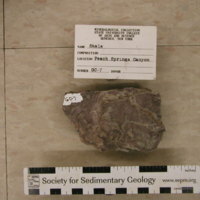 It is an orangish-brown sample.